Students who are struggling to pay for college will likely seek out financial assistance from the government. Since college tuition in the United States is so expensive, most students are not able to pay out of pocket. Their families simply don't have the money. Thankfully, there are several ways that students can find extra money to help pay for school in the form of scholarships, grants and loans from the federal government. While all these options can certainly help lower college costs, they still may not be enough money to cover all of your college expenses. This is why, in addition to federal financial assistance, students may also need to apply for private student loans to cover the remaining cost. 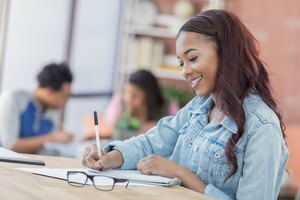 A private student loan is a large sum of money you can borrow from lenders such as a bank or a student loan company, like Sallie Mae, to help pay for school. Most people resort to private student loans if they have trouble getting financial assistance from the government, or the financial assistance they do get is still not enough to cover the high tuition costs. Private student loans may not be as easy to get as federal student loans because it's necessary for you to have a credit check and in some cases, a cosigner, in order to take out the loan. That being said, sometimes a private student loan is easy enough to get, as long as you don't mind paying the high interest rates that come with it. You can find private student loans without cosigner requirements. And if you are able to get one, it should cover the remaining cost of your tuition, which means that you'll be able to attend school. There are many differences between private loans and federal loans. It's important to understand these differences before running to the bank or a lender in order to take out a private student loan to pay for school. First, the biggest difference between private student loans and federal student loans is that a federal loan is given to students based on their family's financial need, but a private student loan is usually taken out to cover whatever is leftover after federal loans kick in. Federal loans don't use a student's credit score to determine the amount of aid you will get or how high the interest rate will be. All students will get the same interest rate. This isn't the same for private student loans, in which your credit score and income (if applicable) is used to decide what your interest will be and whether or not you'll need a cosigner. In addition to these, there are more differences to consider. 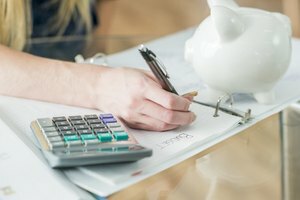 While federal loans come with a fixed interest rate that's typically much lower (around 5 percent), private loans can sometimes come with fixed interests rates, too, but most of the time, they are variable. With a federal loan, you can usually borrow it in the form of a subsidized loan, which means the government will take care of the interest payments while you're in school. With a private loan, this won't happen, and you may even need to start paying the interest from the moment you take out the loan. Usually, federal loans are able to be consolidated. This helps to lower interest rates on all of your loans and makes your monthly payments easier. On the other hand, private loans are typically not able to be consolidated, though they can often be refinanced. While federal loans may be up for forgiveness depending on certain factors, it's extremely rare that a private loan would be able to be forgiven. Additionally, there are many kinds of repayment plans for federal loans and most of them are flexible or income-based. But private student loans may have very strict repayment plans that cannot be changed once you decide which one you want. Because of the many differences between federal loans and private student loans, it's easy to see that a federal loan is generally a much safer option than a private loan. However, it's important to consider all the pros and cons of private student loans before ultimately deciding whether or not it's the right choice for you. The biggest con associated with taking out a private loan is primarily the lack of flexibility. Because most students who need a private loan won't be able to afford school without it, the lenders are essentially able to take advantage by adding high-interest rates based on your credit score, strict repayment plans and the inability to consolidate. It's hard to find private student loans with no credit check requirements. Additionally, if you fail to pay back a private loan, it can go into delinquency and eventually default much faster than a federal loan would. Unlike federal loans, private loan lenders don't have a lot of patience for borrowers who are struggling financially and will likely file a lawsuit against the borrower as soon as they see they aren't getting their money. This, of course, can be very stressful for young graduates, especially those who may already be struggling financially. All this considered, there are still many pros to taking out a private loan. For one, federal loans and grants usually never provide enough money to be able to cover all of your tuition or associated expenses. For those who want to attend school without having to worry about coming up with the cash beforehand (because that could take years due to the high cost of college), a private loan is the best solution to take care of any remaining costs. Private loans provide almost all students with the opportunity to pay for school. What Banks Give Private Student Loans? Both individual banks and private loan lending institutions offer options for taking out private student loans. Theoretically, you could walk into any bank and ask if they have student loan options, but it's best to go in with a little preliminary research to know which banks you should go to. The best banks for private student loans are PNC, SunTrust, Discover and Citizens Bank. These banks are recommended for a number of reasons, and they have more flexible options than other banks such as lower interest rates, flexible repayment plans and requirements for cosigners. However, banks like Chase and Bank of America also provide private student loan options, as well as local banks, and it's worth comparing all your options before making a decision. It's difficult to say which private lenders offer the best deals on private student loans, as the conditions can change from year to year. But according to Student Loan Hero, as of 2018, the best private student loans from lender institutions are coming from College Ave, LendKey, Sallie Mae and CommonBond. Like with banks, make sure to compare these options before choosing one. You should also compare the private loans from banks to the private loans from these lenders to see what's better. In order to get a private student loan, you can either visit a bank branch in person, or you can call the number of a private lender to find out their application process and what information they need. Most private loan applications can be completed online. They will ask you questions about your income, expenses, assets, credit score and cosigner's personal information if required. They will also ask how much money you will need to cover your college costs. You will know almost immediately if you've been approved. If you've been approved, you'll be given details about the interest rates and optional repayment plans. Be careful to research those before locking in a specific repayment plan, as it may be hard to alter later on. The funds will be distributed directly to your college. If there is any money remaining after expenses have been covered, it will be given to you to spend on things such as books, school supplies or other expenses. If you have bad credit, and you want to take out a private student loan, there are some things you should know. The first thing to understand is that even if you have bad credit, for instance, a score of mid-600 or lower, you can still get approved for a private student loan, but you will need a cosigner. Those who have an "okay" credit score, which is usually between the mid-600s to mid-690, will likely get approved but with very high interest rates. The higher your credit score is, the more likely you will get approved with ease and with lower interest rates. This is especially true if your score is at 720 and up. Keep in mind that this is quite rare for college students, which is why most students end up needing a cosigner. If your credit score is low, and you require a cosigner in order to apply for a private student loan, then it's a good idea to know a little bit about how a cosigner works. A cosigner is a person that is agreeing to pay for your loan if you fail to make payments. Typically, it's someone that is related to you, because most non-relatives would not agree to help someone with such a serious financial commitment. Your cosigner will need to have good credit because it would defeat the purpose to have another person with bad credit cosign on your loan. Therefore, it's likely that your potential cosigner is going to want to sit down with you and have a long talk about how you plan on paying back the loan. This is because if you fail to make payments on your loan, the responsibility will fall on the cosigners, which may not be something they are willing to deal with. Taking out a private student loan can be a great option for those who want to attend a college that's very expensive, or they don't have the money to pay for school or both. However, there are many things to consider before resorting to this option, as the high interest rates associated with private student loans can make many people feel financially trapped. Therefore, when choosing a college, try to apply for a school that has reasonable tuition fees compared to other schools. Always apply to federal financial assistance programs first and even look into outside scholarships before choosing to take out a private student loan. If you have no other option but to take out a private student loan, do your research and take your time comparing different offers and interest rates before making the decision. Student Loan Hero: What is a Private Student Loan? LaRock, Hana. "What Are Private Student Loans?" Synonym, https://classroom.synonym.com/what-are-private-student-loans-13714922.html. 20 September 2018.